AAARRRRRGGGHHH!!! I was barely done working on my essential oils for COPD article when this happens! The worst part is that you can always feel it coming; the sore, irritated throat, the tightness in the chest, the blocked nose, the never-ending throng of kerchiefs and breathing with your mouth open like a walrus in heat. You know what I’m talking about – its flu season again and nothing hits harder than good old congestion right around this time. But you know me – I get sick yet still can’t stop thinking about my readers. So coming to you live from the comfort of my bed all wrapped up in layers of PJs, even congestion couldn’t keep me down. Today, I’ll be telling you all about how me and all the other congestion patients feel (spoilers, it feels like crap). I’ll also take you through what congestion is, how it presents itself as well as all the different types there are. We’ll then look at all the possible causes of congestion and what you can do to help speed up the recovery process. So snuggle up close my fellow respiratory challenged friends, because fate just played a cruel hand to make this segment possible. That’s right; it’s Olivia’s ultimate, mother of all guides to everything you need to know about congestion. Arrrggh!!! I just realized that the resident nerd isn’t around. Though it would be weird for him to be in my house this early, right? Oh well, guess I’ll have to take this one myself. Technically, congestion is a broad and general term that could refer to a lot of things. You’ve got your traffic congestion; no one likes that. Then there’s cardiac congestion that’s a real pain in the ticker. However, this segment refers to congestion as related to the ear, nose, throat, chest, and lungs. That said, we can now describe congestion as a feeling of stuffiness in the nasal airways and respiratory passages or the accumulation of excessive body fluid in these areas. In our case, the excess fluid would be mucus; lots and lots of thick, disgusting mucus. Now, there are different types of congestion. Depending on the cause, you could be facing just one type or all of them at the same time. Let’s look at all the different kinds and how they present themselves. This is without question the most common and widespread type of congestion. In most cases, it’s actually a precursor to some pretty bad things to come. Nasal congestion happens when the nasal passages are blocked as a result of inflammation of the blood vessels within. This, in turn, triggers the system to produce even more mucus making it that much harder to breathe. This is also the first type of congestion that infants are likely to get (referred to as babies’ congestion). See, newborn infants are obligate nasal breathers which means they prefer to breathe through the nose. So any nasal congestion in an infant will not only interfere with proper breast feeding, but also cause life-threatening respiratory illnesses. Nasal congestion is characterized by a stuffy or runny nose, swollen nasal cavity and a buildup of mucus and phlegm. Sometimes called sinusitis, sinus congestion refers to a feeling of fullness and stuffiness around the eyes, cheeks, ears, and forehead as a result of inflammation of the sinuses. This congestion can be caused by allergies, infection, pollution, or even structural problems with the nose itself. However, people with various respiratory issues such as asthma, cystic fibrosis, or weak immune systems tend to have recurring episodes. Sinus congestion doesn’t just leave you feeling congested; it comes with an entire array of other symptoms too. These include a plugged nose, pain in the whole face, thick, nasal mucus, poor sense of smell, sore throat, fever, headaches, and coughs. Most of these symptoms tend to worsen at night when the person lies down or any time of the day when they are exposed to the heaviest irritants. Interestingly, both nasal and sinus congestion all lead to the next type of congestion. No, this is not what happens when your teacher pulls an algebra quiz on you out of nowhere. Head congestion is actually a sort of side effect from sinus or nasal congestion. How you ask? Well, any sort of respiratory congestion tends to affect the interconnected ear, throat and nose system. That’s why nasal congestion makes it harder to hear as well as make proper pronunciations too. So when the sinuses and nasal passages get inflamed, the pressure creates a dull sinus headache and a significant degree of facial pain with aching all over the sinuses. Not only can this pressure cause toothaches, but the tension and constant migraines can really cause substantial cranial discomfort. The causes of congestion are numerous and they range from a simple, mild annoyance all the way to a life-threatening illness. For things like head and nasal congestion, minor ailments like cold or flu are usually the culprits. But for sinusitis or congestion that lasts for weeks, then it’s often a symptom of an underlying health issue. Let’s take a look at all the causes and risk factors of congestion. Also known as allergic diseases, allergies are several conditions caused by a hypersensitive immune system to environmental factors that usually cause no problem to others. This could include food allergies, hay fever, allergic asthma, anaphylaxis among others. Many allergens such as dust, pollen, and airborne particles come in contact with your eyes, nose, and lungs causing an allergic reaction and irritation of the respiratory system. Colds are by far the most common cause of congestion on the entire plant. A common cold is a viral infectious disease of the respiratory tract that affects the nose, throat, voice box and sinuses. Apart from congestion, colds cause a sore throat, running nose, sneezing, coughing and fever related symptoms. This is a physical disorder of the nose that involves a displacement of your nasal septum. While over 80 percent of the people have some displacement, very few of those can be described as medically deviated. Symptoms of a deviated septum include difficulty breathing, sleep apnea, sneezing, nosebleeds, snoring, facial pain and a mild to severe loss of the sense of smell. Also known as RM, this is a condition of rebound congestion brought about by prolonged use of topical decongestants and particular oral medications. The condition causes a constriction of blood vessels all along the lining of the nose leading to congestion. ENS is a sporadic clinical syndrome where people with clear nasal passages experience a broad range of symptoms such as nasal dryness, nasal obstruction, crusting, and difficulties breathing. However, there are surgeries that can correct the syndrome. Didn’t we just look at acid reflux two months ago? Who’d have known that these two would be connected? We already know that the disease is a long term condition where acid and stomach contents sneak back up the esophagus. Turns out that acid reflux can also cause congestion, gas build up, difficulty breathing and a few other respiratory issues. When you’re all stuffed and congested, even the simple act of breathing can be a challenge. It doesn’t matter what the cause is or what type of congestion you’re dealing with; the condition will leave you feeling dreary and miserable. Sure, most cases tend to pass and heal on their own. However, ain’t nobody got the time to just sit around and wait for the immune system to do its job. Like our immune systems, we also have jobs that we need to keep. So why not lend a helping hand to your poor, ailing and battered respiratory system? If you’re looking for relief, I’ve got just the thing. But first, what does modern medicine prescribe? Seeing that some cases of congestion are caused due to bacterial infections, they can be resolved with a little antibiotic action. However, antibiotics are not recommended for people with mild congestion or for those with viral infections. If your condition lasts for longer than 10 days, then your medical practitioner will generally prescribe a course of amoxicillin. If the primary cause of your congestion is allergies, irritants, or sinusitis, then controlling the allergens will substantially help ease your symptoms. Look for allergy meds with antihistamines in them to relieve sneezing, sniffling, and other symptoms of congestion. Similarly, some cold medicines have antihistamines which help offer relief for a stuffed, runny nose and sore throat. However, it comes with side effects such as drowsiness. When it comes to easing swelling and irritation in the nasal passages, nothing beats the decongesting action of decongestants. These drugs come as nasal sprays like oxymetazoline and naphazoline and pills such as pseudoephedrine and phenylephrine. However, even doctors advise against taking decongestants for extended periods since they could actually make the congestion worse. While these won’t necessarily improve your congestion, they play a very crucial role in relieving pain caused by congestion and pressure. This includes headaches, chest pains, sore throats, inflamed airways among others. Common pain killers include ibuprofen, naproxen, and acetaminophen. 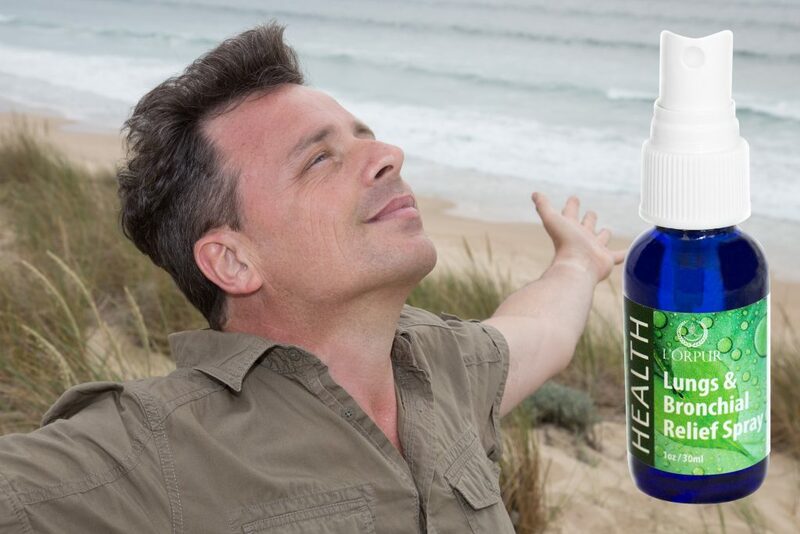 Also known as ethereal or volatile oils, essential oils have been helping people out for centuries now. These wonderful oils provide a concentrated essence of the original plant’s flavor, fragrance, and medicinal properties. Let’s face it, over the counter decongestants and pharmaceuticals just aren’t for everyone. Apart from being ill advised for people with pregnancies, high blood pressure and other health issues, some of these drugs can have adverse and damaging side effects that include headaches, drowsiness, restlessness, high blood pressure, rapid heart rate, headaches, among others. Essential oils are packed with benefits that not only help fight inflammation, but also give the immune system a much-needed boost. 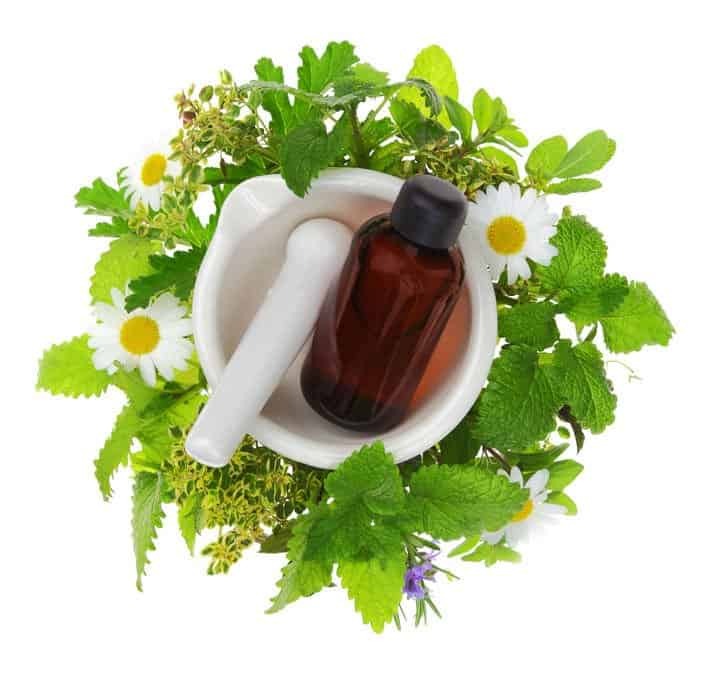 Similarly, essential oils assist the body fight bacteria, infections, parasites, microorganisms and other harmful toxins all while detoxifying it. This reduces the body’s susceptibility to outside threats, irritants, and sources. As usual, I’ve dug deep to present the best essential oils for the job. Of course, we always find hundreds if not thousands of these miracle oils. But for convenience’s sake, I’ll just touch a bit on the most effective oils for the job. Peppermint is a widely known natural expectorant that is just what the doctor ordered for congestion. Packed with anti-inflammatory, antiseptic, antispasmodic, antibacterial, sedative and cooling properties, peppermint EO packs quite the punch when it comes to dealing with respiratory issues. 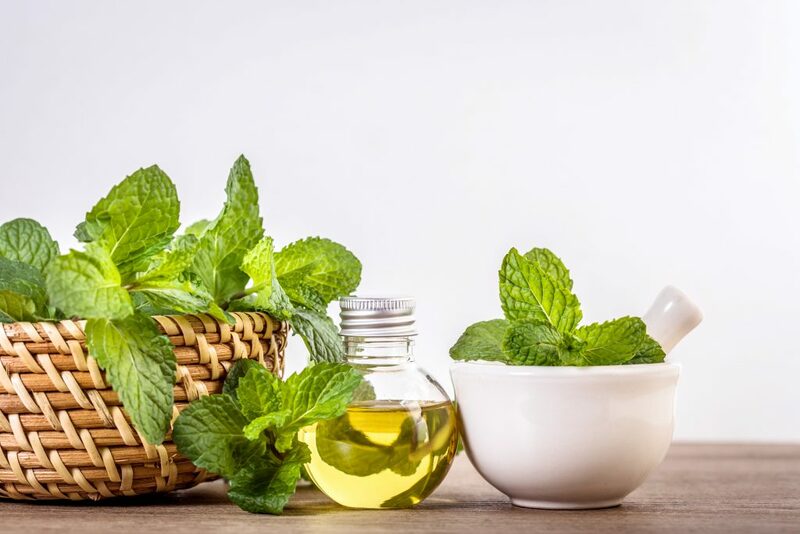 When inhaled directly, peppermint essential oil has the power to discharge phlegm, calm your irritated airways and allow for easier breathing. Likewise, the oil has been known to provide relief for allergies, colds, coughs, sneezing, sniffling, asthma, sinusitis, bronchitis, among other congestion causes. When it comes to opening up your lungs and sinuses wider than Buckingham Palace doors, nothing beats good old eucalyptus. Eucalyptus essential oil contains a secret ingredient known as citronella that is ripe with anti-inflammatory, analgesic and antimicrobial properties. It’s also an expectorant that helps your respiratory system detoxify and get rid of any harmful microorganisms. But it’s the incredibly strong scent and unrivaled cooling sensation that allows Eucalyptus EO to unclog even the most stuffed nasal passages and airways. Thyme is definitely one of the most suitable EOs for congestion and coughs thanks to its antibacterial, antimicrobial, and most importantly, antioxidants properties. Research has shown that Thyme essential oil exhibits incredibly potent activity against certain bacterial strains that plague the respiratory system. This automatically makes it ideal for treating coughs, sore throats, inflamed airways and congestions as a result of cold weather or flu. Filled to the brim with antiseptic, antibacterial, antifungal, antimicrobial, anti-inflammatory, and detoxing properties, it’s only natural that most citrus fruits help with the respiratory system. Research has actually proved that lemon essential oil not only inhibits the growth of harmful bacteria, but it also supports the lymphatic system in overcoming a throng of respiratory issues. That’s why lemons are hands down the number one home remedy for coughs, colds and virtually all things respiratory. Here’s another incredibly powerful EO that is wrought with antiseptic agents and anti-inflammatory properties. 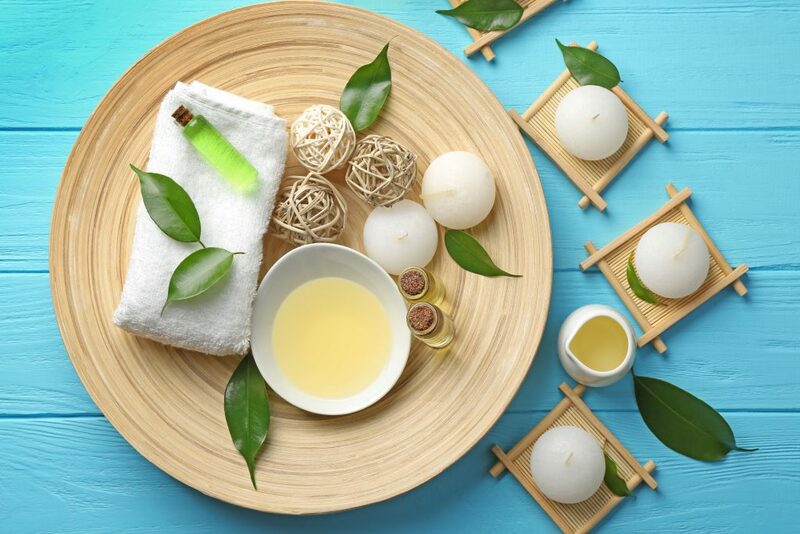 Numerous studies have shown that Tea Tree oil exhibits antimicrobial properties against an array of yeast, fungi, bacteria, and other microorganisms. All these are possible causes of congestion that lead to inflammation and compounded ailments. Tea tree oil has the ability to kill mold, fungi, bacteria, and destroy airborne pathogens that aggravate your respiratory system. So if you have asthma, sinusitis or any form of congestion, make sure you have some tea tree essential oil handy. Here’s one relatively rare EO that you don’t often get the chance to sample. Hyssop essential oil has been recorded by early Romans as one of the leading remedies for chest, throat and bronchial problems. 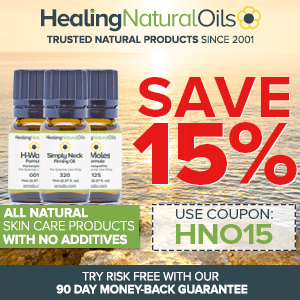 Most recently, however, scientists have discovered a new army of antiseptic agents in Hyssop that allow it to fight lung infection, throat inflammation and viral infections that cause congestion. C’mon, I wouldn’t give you a great line up of EOs and not teach you how to use them. 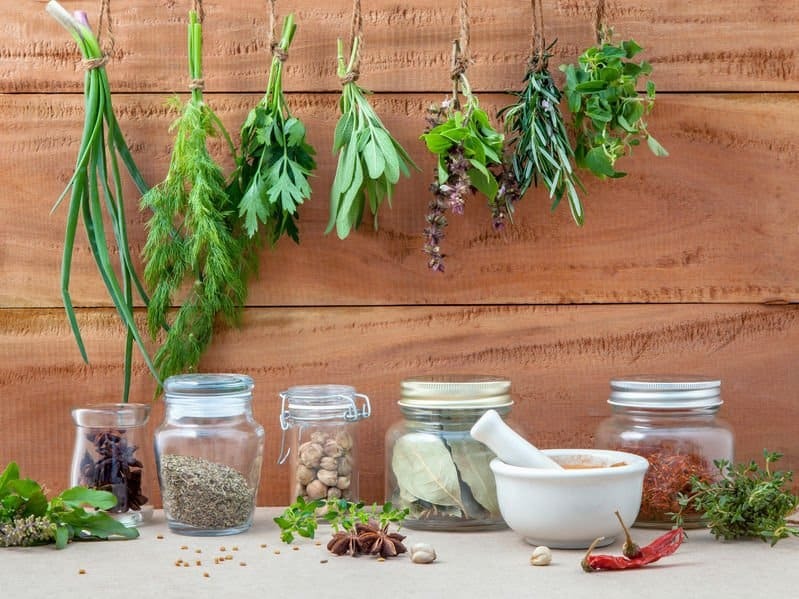 I’ve worked with grannies, herbalists, alternative medicine professionals and other EO experts in search of safe, effective and practical recipes. Here are some that will definitely relieve your poor, congested breathing system. Boil some water and transfer it to a shallow, heatproof bowl. Add your essential oils one by one and stir to get them properly mixed in with the water. Lean over the bowl and cover your head with a towel. Inhale the hot steam through your nose and mouth until you begin feeling some decongesting action going on. If the water cools, just reheat it and repeat the process as many times as you like. Combined with chamomile for improved aromatherapy, Fennel essential oil contains extremely potent antispasmodic, antiseptic, antitoxic and anti-inflammatory properties. This makes it quite the invaluable expectorant. Just put 3 drops each of the above essential oils on a clean handkerchief and inhale the vapors directly to alleviate congestion symptoms. To enjoy this blend, just add the above essential oils as indicated into your humidifier or vaporizer and use as you would. Make sure the humidifier is in the room that you stay in the longest. 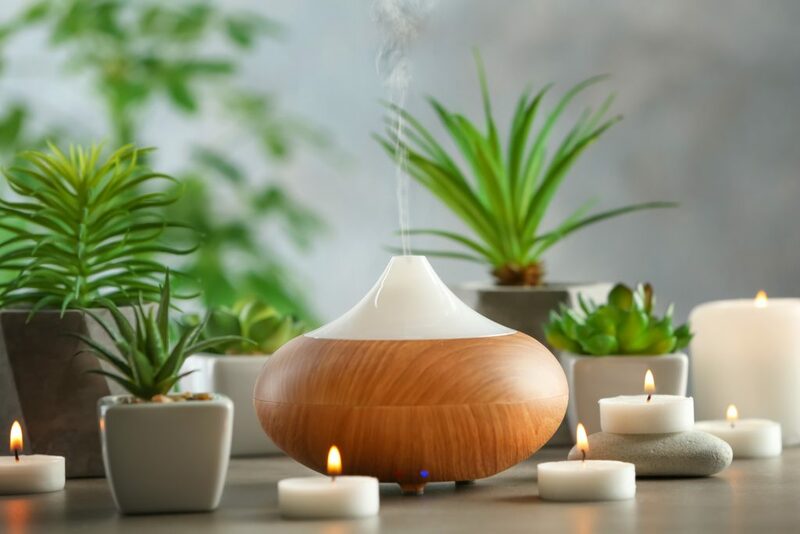 In addition to the decongestant and anti-inflammatory properties contained in the blend, the essential oil blend will help freshen the indoor air while the extra humidity settles dust and pollutants. Pour the honey in a shot glass or small cup and add your essential oils drop by drop while stirring. Mix the ingredients thoroughly and swallow the mixture when ready. As we already established, conventional cough syrups for congestion tend to have way too much sugar and undesirable side effects. 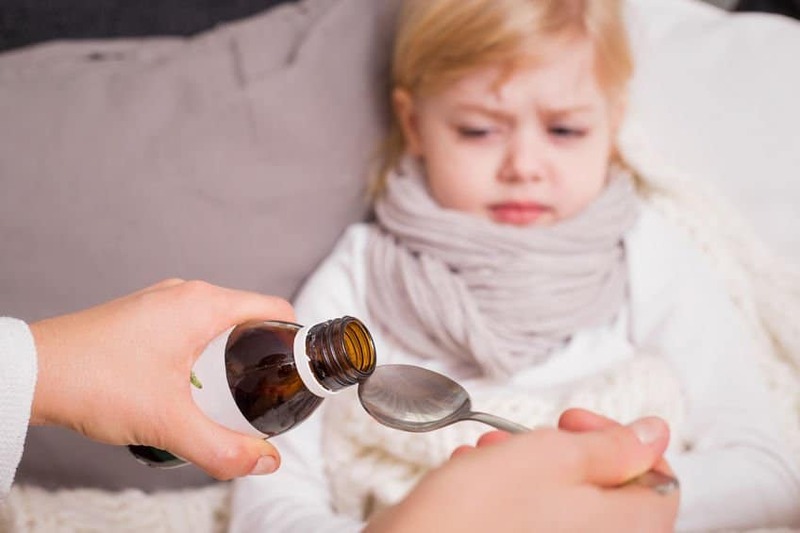 This homemade EO cough syrup will not only clear your cough and soothe your throat, but it will also give your immune system a much needed, all-natural boost to battle congestion. As always, consult your doctor before ingesting any essential oils due to underlying health conditions and/or interaction with other medication. While drawing your bath, fill your tub with water and allow it to be as hot as comfortably possible. Add all the 33 drops off essential oils as indicated and don’t forget your cup of Epsom salts. Play around with the water for a great mix and then soak in for as long as you like. In a few minutes, your body should be feeling the decongestion and anti-inflammation brought about by the 33 drop EO hot bath. Blocked airways and stuffed nasal passages not only interfere with your breathing, they also lead to sleeping problems. To decongest blocked sinuses and airways, mix all the essential oils as indicated with the carrier oil – grapeseed oil works best. Once the ingredients are well mixed, apply and massage the temples, neck, behind your neck and finally breathe in the vapors deeply. Rub the essential oils and olive oil between your palms to mix all the ingredients together. For congested babies, rub the lotion on the chest, back of the neck, a bit on the temples and finish off under the feet. There you have it my fellow respiratory challenged readers; everything you need to know about congestion right here at your fingertips. Been using some of the recipes for a day or two and I can already start feeling the effects. Apart from the life-saving essential oils, make sure you eat a healthy, balanced diet and drink enough fluids to thin out your mucus. Also, investing in a humidifier or diffuser might be a great idea to help pre-empt the early signs and symptoms of congestion. Trust me; your respiratory system will thank you later when it’s taking in more air than an industrial exhaust system. Olivia, when you’re talking about essential oils, you’re dead on. In your section on antibiotics, however, not so much. To be clear, antibiotics do NOT cure and should NOT be taken to treat viral infections (antivirals might help with those), but they DO royally mess up the beneficial bacteria in your gut, which is where much of your immune system resides, and contribute to the epidemic of antibiotic resistance. You are correct. The word “viral” has been removed. Fascinated by the fact that you can actually consume EOils! as well as using them topically! Hi Olivia, love the humor…premium content and cant wait to try the recipes. One of the easy understanding documents like us who always need some kind of help.